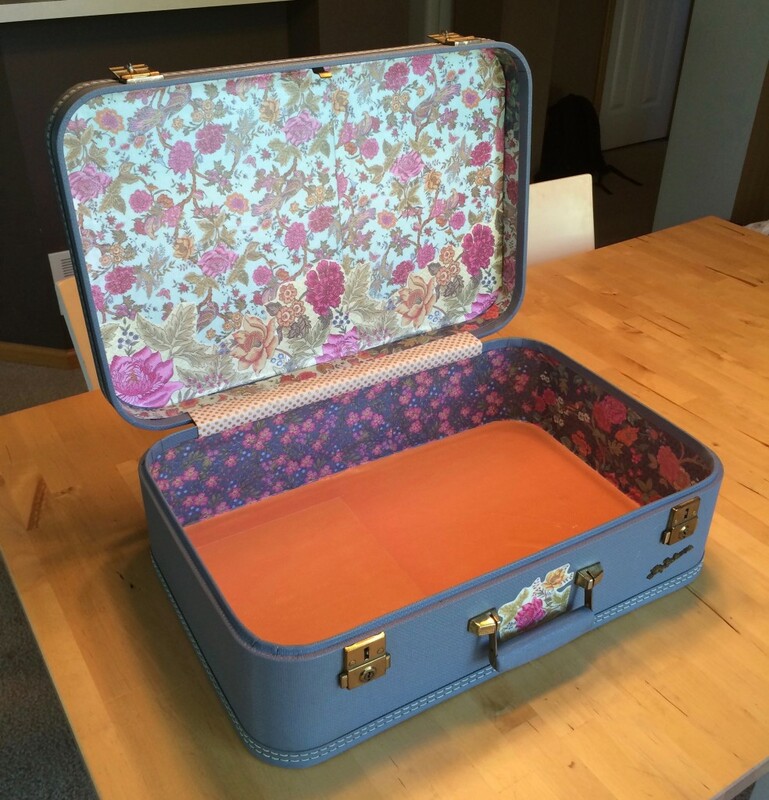 I love just about all things vintage, and for the past few years I’ve been particularly obsessed with vintage luggage. 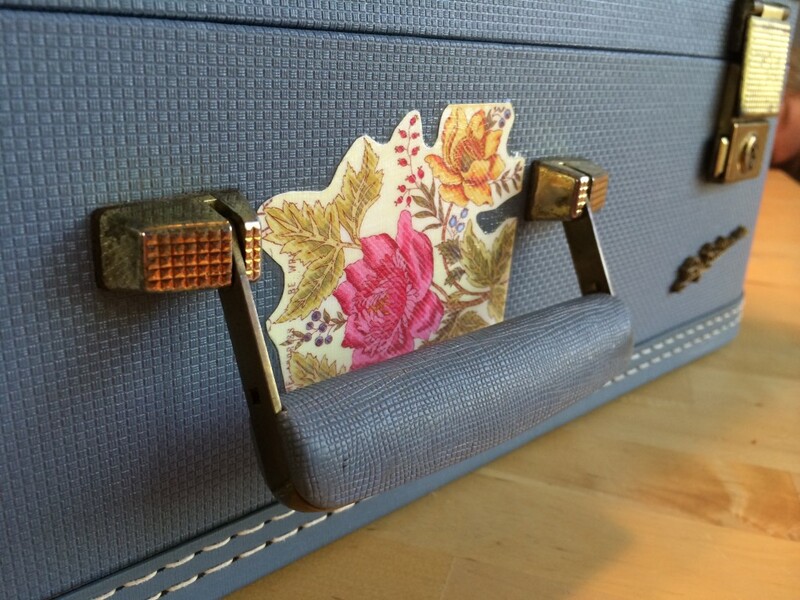 I love the idea of interesting, beautiful storage. I found this beauty for free on the side of the road – the left-overs from someone’s garage sale. Clearly unaware of the potential here, they were happy to see it go, and I was thrilled to get my hands on it! 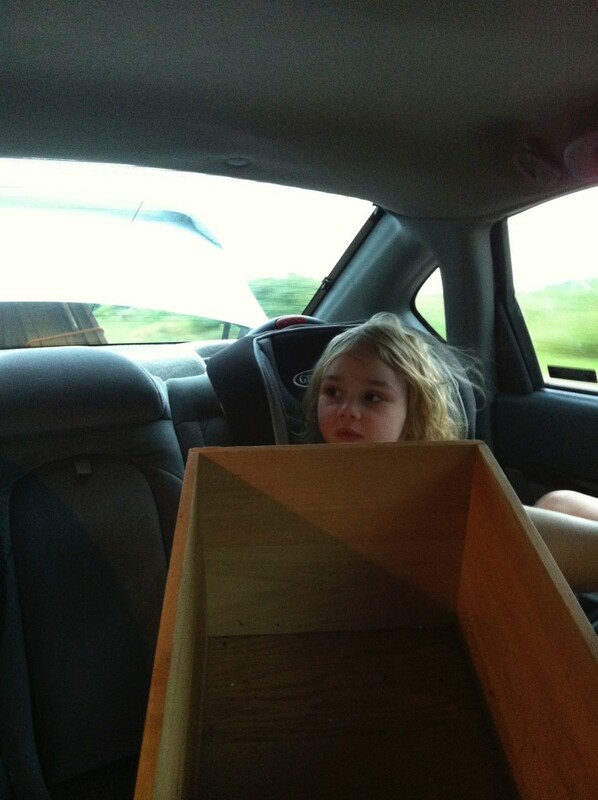 (Funny story – there was also a small vintage desk that I couldn’t walk away from so we somehow managed to wedge it in the trunk of our Chevy Impala and had to pile the drawers on top of the girls in the backseat. I giggled all the way home, they were not as amused. We later sold it for $100 – watch out American Pickers! 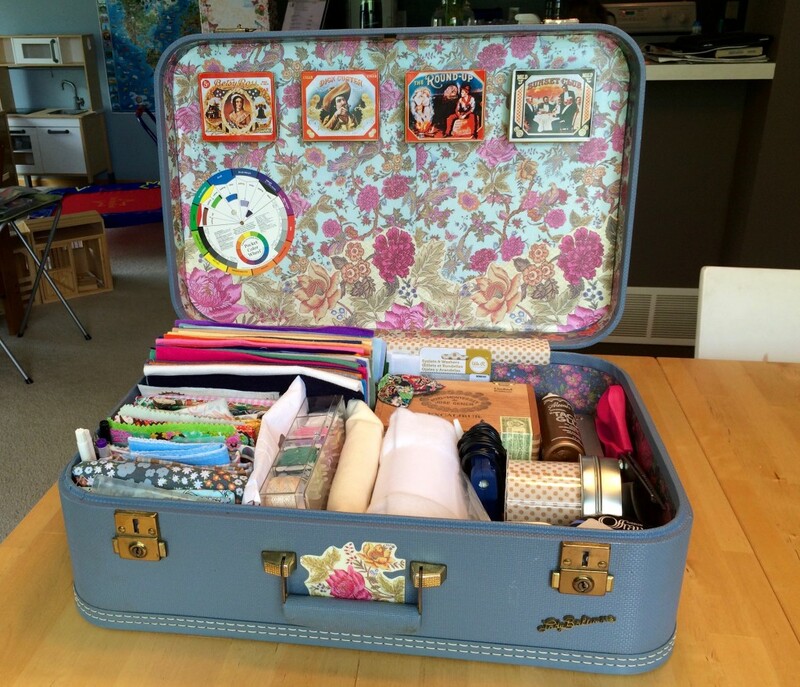 This vintage suitcase was in really good shape inside and out, the key was even still attached! 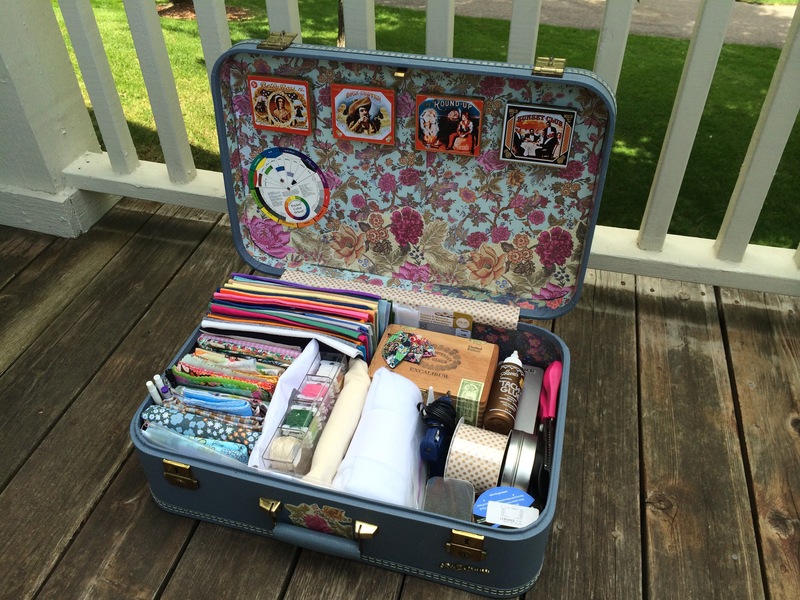 Unfortunately, like so many of these vintage cases, it smelled pretty bad. I tore out the lining, sanded off all the glue, washed it down and set it out in the sun for days to help with the musty smell. 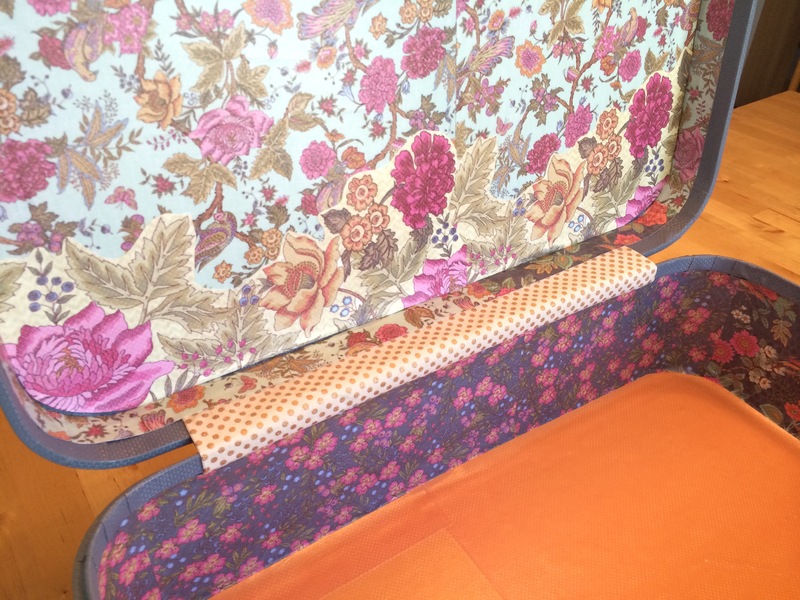 Once I finished all the cleaning I covered the interior surfaces with scrapbook paper and Mod-Podge. I replaced the ribbon that helps attach the bottom to the top. Just a little bit of the paper on the outside to give a hint as to what’s inside. I glued thin strips of metal to the inside of the lid before I covered the interior with paper. Then I glued extra-strong magnets to the back of those vintage cigar tins to take advantage of the lid for maximum organization and accessibility. The color wheel is held on with a magnet, too. This isn’t by far the extent of my arts and crafts supplies, mostly just my quiet book making supplies.